Manufacturer: SR Suntour, of Taiwan and Vancouver, Wash. 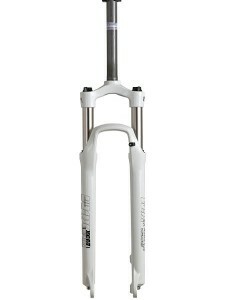 Hazard: The suspension fork's internal support tubes can break and cause the rider to lose control, fall and crash. Incidents/Injuries: SR Suntour has received 12 reports of incidents with the suspension forks, including two injuries involving a laceration and a chipped tooth. Description: This recall involves the following GT, Giant and Trek bicycles with SR Suntour suspension forks. “SR Suntour” and the date code are printed on the back of the fork crown. Sold at: Specialty bicycle stores nationwide from April 2011 through March 2012 for between $400 and $600. Remedy: Consumers should stop using bicycles with these forks immediately and return the bicycles to any authorized GT, Giant or Trek dealer for a free repair.